Digital Signals are the fundamental language of modern computing. Digital devices are based on the concept of binary states (logic), that is, something is either On or Off, High or Low, One or Zero, or 5 or 0 volts. We can use this idea in Data Acquisition and Logging systems to monitor and control various devices by, for example, reading (Inputting) the state of switches and writing (outputting) values to turn switches on or off as required. We can also use digital signals in counting applications. Measurement Computing Digital IO devices come in standard TTL (LS) and Hi Output devices supplied as 24, 48 or 96 “bits” normally configured in 8 bit ports. We also supply external Relay Bases and SSR Racks to enable high voltage monitoring and switching (IO). With the advent of USB devices we have the option of combining the DIO with external relay bases or SSR Racks. Available in ISA, PCI, PCIe, GPIB and USB formats. 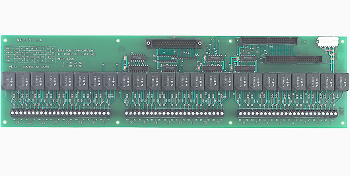 We have a wide variety of Counter based cards and modules in the same formats.